The PC Principle \ News \ MAJOR CRIMES WEEK - Giveaway! MAJOR CRIMES WEEK - Giveaway! Well, we started our Major Crimes Week off with a bang with that wonderful interview with Jessica Meraz! Don't worry, we have several more interviews to share with you! If you didn't catch our interview with Jessica, you can read it here. Now, what would a week-long celebration be without giving something away to the loyal fans of Major Crimes? So, with that being said, we have something cool to giveaway to three lucky fans. First, we must thank the fine folks at the TNT marketing and publicity departments for helping us with the prizes for the contest. QUESTION: Sharon's promotion to Commander fulfills a promise first made to her by whom? If you know the answer, email it to us at troy@thepcprinciple.com. We will pick the first three correct answers and announce the winners later in the week. 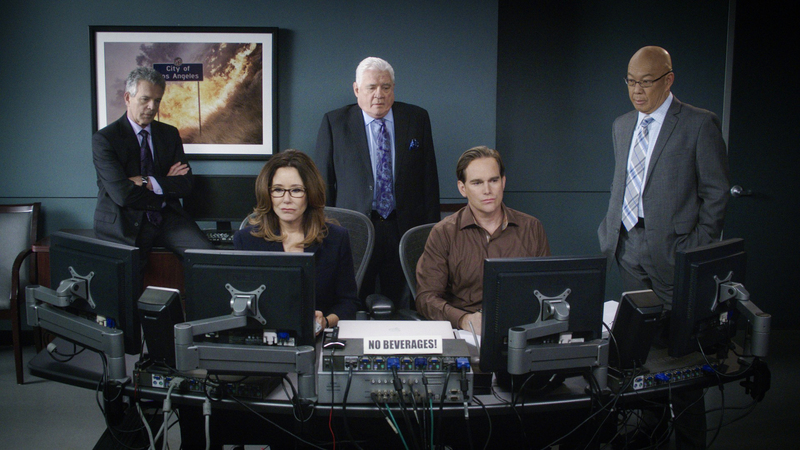 Each winner will receive a Major Crimes Season 6 poster! You have until 2pm EST today to get your answers in!